I made my second demo for Oculus Rift in unity - "Beach OR demo". 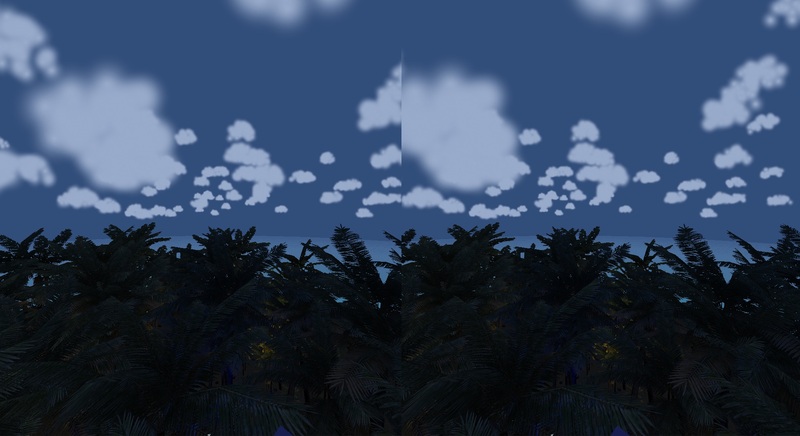 In the demo you can walk on the platform in the middle of the beach, which will take you up in sky. Ofcourse you can walk around, too. I set in the map evening lighting, with flying light balls around. There are real clouds, too. I don't have my dev kit jet, so i can't test it myself . !!! If there are trees on the platform, run the demo one more time, because each time you run the demo trees are spawned differently. Tell me what do you think? This is my second unity project demo i made, i hope you will like it. Really enjoyed this, thanks for posting. Taking the platform up through the trees was awesome. Then getting up the nerve to jump off. Ya, I really enjoyed this too. You're making some great demos! Very atmospheric. Keep 'em coming. (My vote is for a roller-coaster in one of your trippy environments). I don't think the link is working? The archive won't extract with 7zip. Is it really only 27KB? Looks really cool I'd love to try it, though I wait for my Rift..
i tried the link, it's working..
You have to follow the link first, which will take you to files.inbox.lv, and you can 'save as' there. Really fun demo. It's funny trying to explain the glowing spheres to people who aren't used to gaming or VR. They don't understand what they are and try to rationalize a logical explanation for them being there. I think the ultimate verdict was they are large lightning bugs or something to that effect, LOL. In my opinion on improving this demo. I would make the island a bit smaller for travel and frame rate reasons and make the shore line much more predominant. Most people I noticed who tried this demo wanted to go onto the beach and take in the ocean and were really disappointed finding a simple line that marks the difference between ground and water. Having a beach with a slow moving tide, boats and water effects would really improve the immersion. 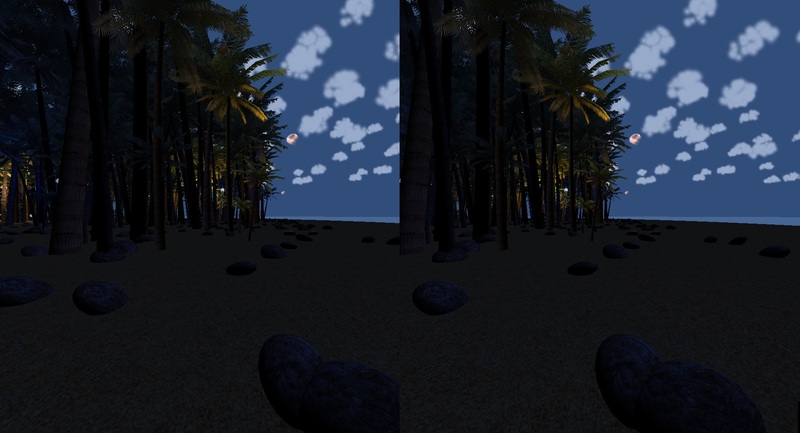 i agree that shore line is too simple, but i had not much time so i focused only on jungle.. i lost my appetite on making or improving my demos, because i don't have my rift dev kit jet. When i receive my dev kit in june, will see if i will improve this demo. have you received you SDK yet? any additions to the beach or? Maybe a stupid question, but how did you create the cloud models? I am looking for a way to create 3d volumetric cloud models as a basis for a platform jumping game. i have no time to develop something new..